3,197sqm site opposite Melbourne Central which currently serves as a car park. 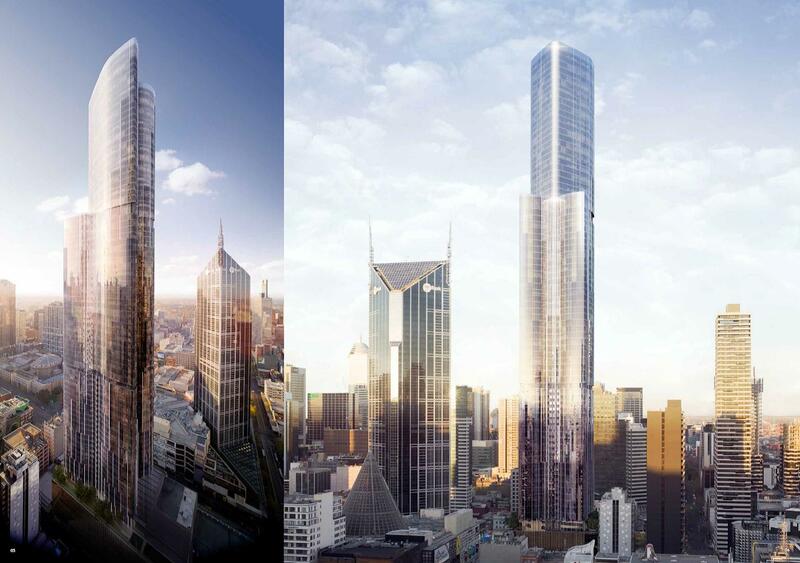 The proposal essentially consists of two concave, U-shaped towers back to back. The highly articulated tower is described as “a unique, curvilinear design response utilising a cross-style layout with undulating setbacks to each site boundary.